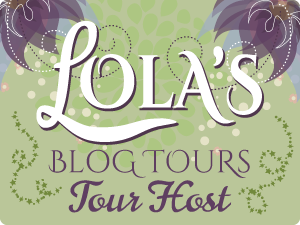 Today is my stop during the blog tour for The Blood of the Hydra (Elementals #2) by Michelle Madow. I’ll share my review and there’s a tour wide giveaway. Filled with magic, thrilling adventure, and sweet romance, Elementals: The Blood of the Hydra is the second book in the Elementals series. Join Nicole and the rest of the Elementals on their quest to save the world, or die trying, in this spellbinding sequel that fans of mythology, magic, and adventure will love! Finding out that she was a witch was strange enough, but now Nicole must face the realization that she has the rare power to kill with just a touch. No one can know her secret—not even Blake, who she’s had undeniable chemistry with since first moving to town. Now Nicole, Blake, and the three others with elemental powers must stop a series of monsters that they previously believed to be dead from rising once again and destroying the mortal world. The creatures they face on this journey will be more dangerous than anything they’ve encountered yet. Will they all survive the quest? And how long will it be until Nicole is forced to use her ability to kill in front of everyone, revealing the true darkness of her powers? Find out in The Blood of the Hydra, and join the Elementals on their next journey in their quest to save the world—or die trying. This book picks up a few weeks after The Prophecy of Shadows (Book 1) and we join the Elementals as they are busy training and preparing to save the world from a Titan invasion. Blake and Danielle are no longer a couple and it’s obvious that there is major chemistry between Nicole and Blake, but she refuses to be alone in his company, feeling like it would be disrespectful to Danielle to start something so soon. She also thinks it would be irresponsible to cause any potential discord between the five of them. That’s one example of where Nicole acts maturely, but I felt her character was somewhat inconsistent, as she acted and spoke quite immaturely on other occasions. As the book progresses she starts to voice her opinions, takes on more of a leadership role, and her dialogue was less juvenile. I hope that self-development continues in the next book. It was quite action-packed as the gang travel to Greece to obtain ingredients needed to fortify their weapons so they can seal the portal to Kerberos (did I spell that correctly?!!) The addition of Ethan and Rachael was a bit superfluous in my opinion, but given how the book ended I have a feeling this will tie into a plot in the final installment. While I did enjoy the fantasy, and the worldbuilding was decent, there were aspects of it that I just couldn’t suspend belief for. Parts were pretty nonsensical. They have to battle monsters to get through a particular stretch of water and they are all debating whether or not they can sacrifice six of the crew so they can journey safely across. When they get to the Island (to obtain milk from the sacred cows) it is apparently a luxury resort for celebrities and the wealthy, and we are told that most of the guests fly there by helicopter. So, I’m thinking, why on earth would they navigate the perilous waters (and potentially sacrifice six men) if they could just fly there? I have no trouble suspending belief where it makes sense in a story but that was sheer stupidity. There were a couple of other similar instances that detracted from my enjoyment of the story. Blake is undoubtedly the star of this show. Swoon. Love him! He is fantastic. Stoic and brave and ready to step up whenever needed. It’s clear he really cares about Nicole but is keeping his distance until she makes her move. I wish there had been more romance, but that’s just personal preference. I prefer my fantasy to have a healthy dollop of romance and this was very light on that front. I’m hoping that will change in the next book. Nicole has been hiding a secret from Blake and the rest of the Elementals because she fears she is doing something illegal. But she is such a sweetheart, and there is no way anyone would believe there was any malicious intent. When it eventually comes out, they were all supportive of her. The writing is very good and it does flow well. I wasn’t tempted to skim at all. The mythology aspect is really interesting and different to other mythology books I’ve read. I am still invested in this series, and I look forward to reading the next book. I hope Blake and Nicole are a real team and that she continues to develop and grow. Overall, this was a good read, just not a great one. Thanks to the author and Barclay PR for providing a copy of this book in exchange for my honest review. Want to get some of Michelle’s books for FREE? Click here to learn how.